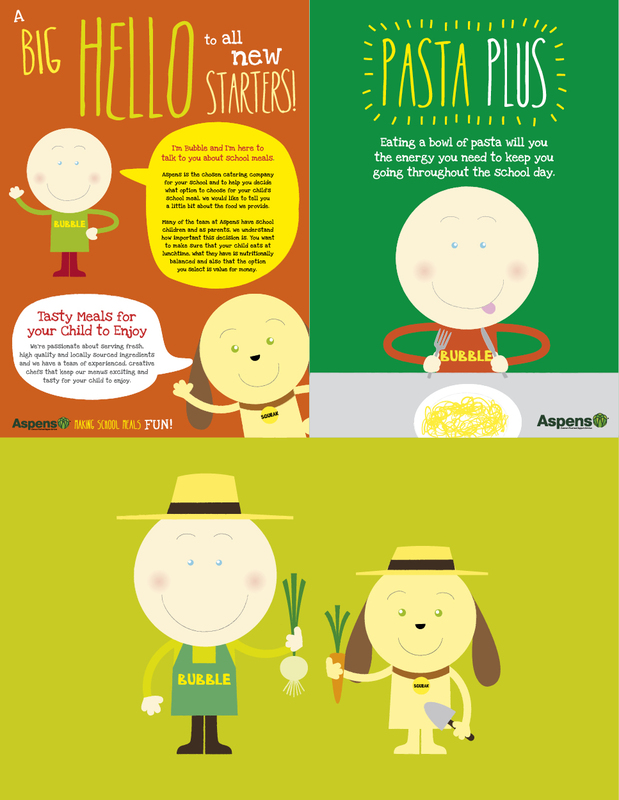 Share the post "Bubble & Squeak"
Edmundson Design was asked by Aspens to design and illustrate the children’s characters which they could use in their advertising and marketing material. 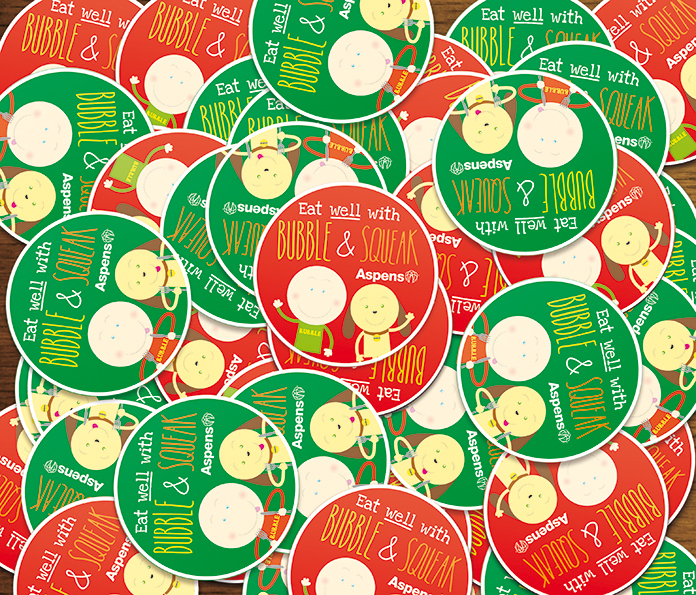 Aspens is a growing, independent, contract catering company which specialises in providing catering and cleaning services for schools, colleges and business clients across England and Wales. 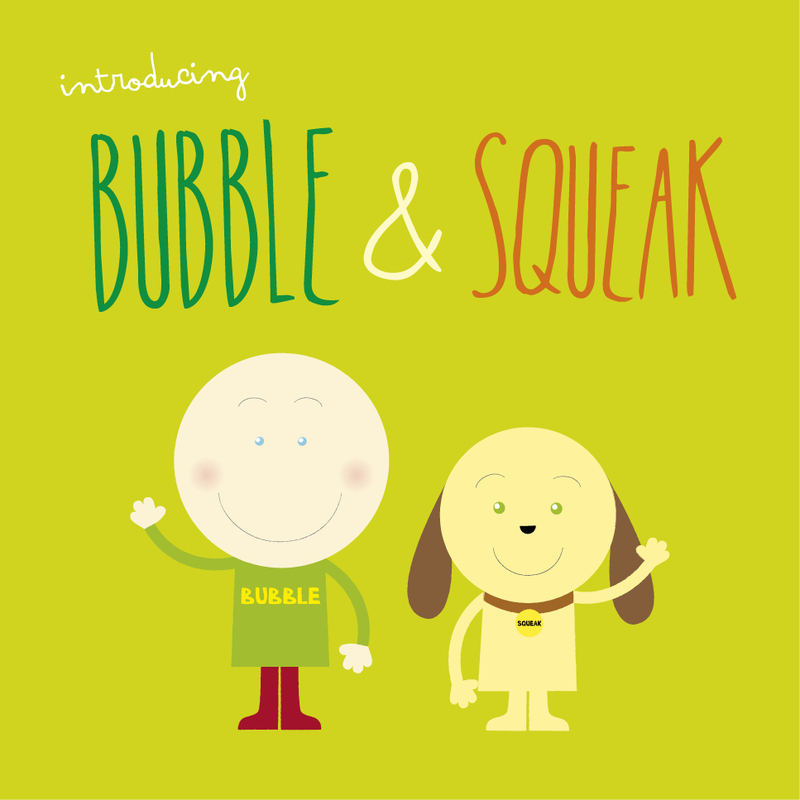 They have recently introduced two fresh-faced recruits to its UK catering team – Bubble and Squeak, the company’s new school meals characters who are helping infant, primary and junior pupils eat more healthily. 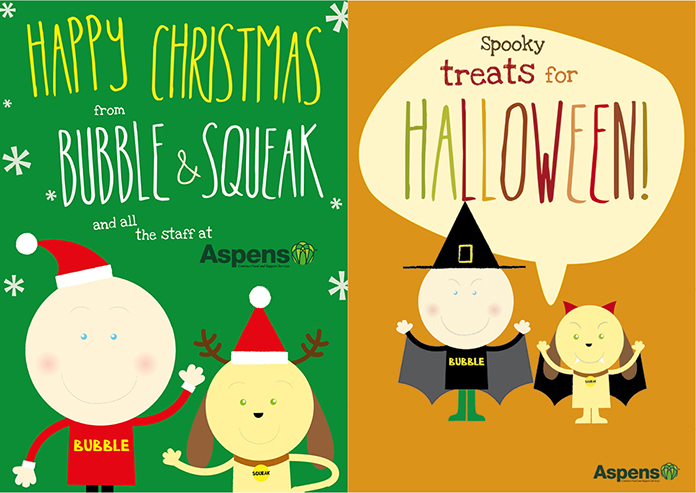 Aspens design-brief was to try and keep the characters very simple, happy, fun and appealing to children between the ages of 6-9 without being too gender-specific. 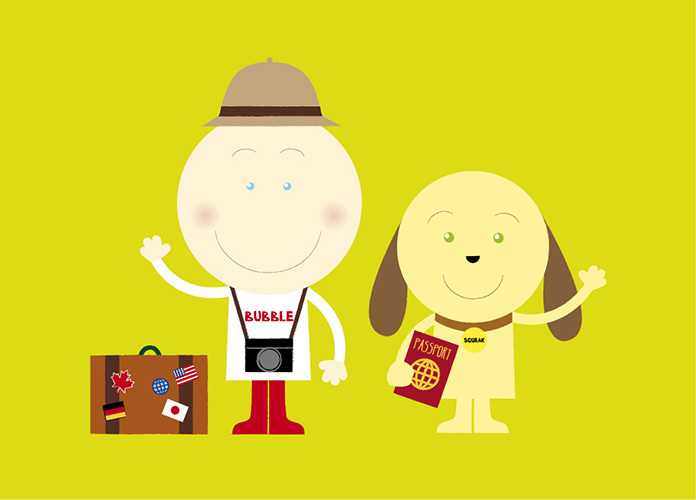 After initial concepts were created, they were then shown to school pupils at St Andrew’s Primary School in Congresbury, North Somerset. 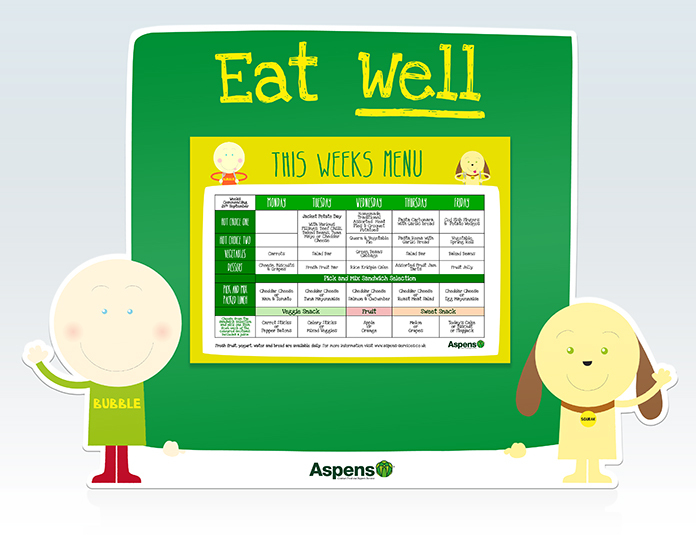 The characters feature on Aspens’ menus, posters, competitions and promotions, telling pupils about their menu choices, helping children understand more about how to eat healthily and why it matters and generally making school meals even more fun and enjoyable. 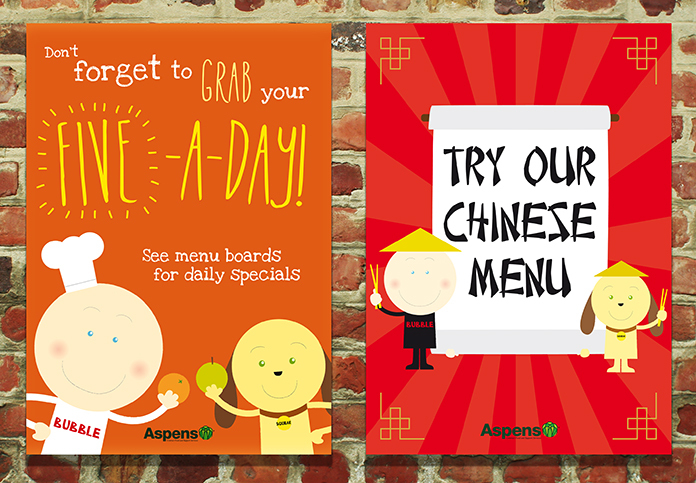 Brand guidelines and client toolkit were also created for Aspens to use internally. 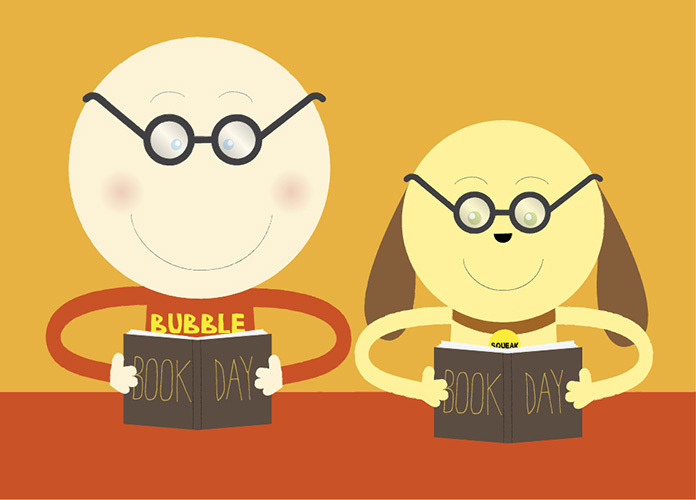 Bubble and Squeak will appear throughout 2013 in schools across the UK.